Join the Easter hop — just wind up a fluffy 4" tall bunny. 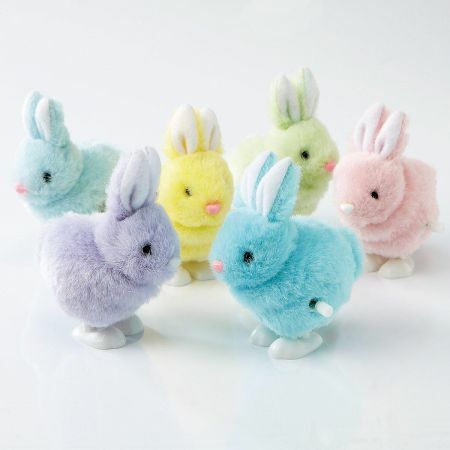 Fluffy hopper is made of wool, plastic, and metal in 6 pastel colors; we'll choose 1 for you. Ages 5+.